Ada County is a safer place to live today, because we know Adam Dees will never leave prison for the rest of his life. 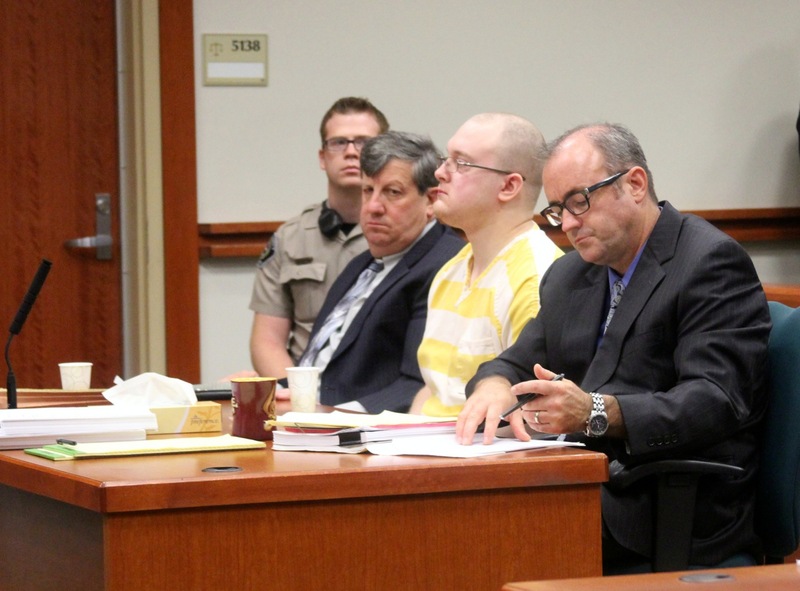 Dees, who killed a Boise-area family in their Foothills home last spring during a home-invasion robbery, was sentenced to three life-without-parole prison terms Friday by 4th District Judge Samuel Hoagland. Dees avoided the possibility of the death penalty with guilty pleas earlier this year to three counts of first-degree murder for the deaths of Ted, Elaine, and Tom Welp in March. Dees has also agreed not to appeal the sentence and will meet with detectives next week to hopefully shed some light on why he chose the Welp family for his horrific crimes, as there is no know connection between Dees and the Welps. Several members of the Welp family sent letters in to Hoagland mourning the loss of Ted, Elaine, and Tom — and asking the judge to ensure that Dees never be allowed to leave prison. Deputy Ada County Prosecutor Brian Naugle read some of those letters Friday during Dees’s sentencing hearing, including a message from Lori Hudson, a daughter of Ted and Elaine Welp. “There is no perfect memory to capture my family. My family is rich with unique stories about triumphs, hardships, joys and heartbreaks. My memories can never express the injustice that my mother, father and brother have sustained. My memories don’t reflect the future that was stolen from me. To be denied saying goodbye, I love you, and thank you for being you to those you cherish the most, for me is heartbreaking. The lessons I have learned by being their daughter and sister are what I hold near and dear to my heart and sustain me. Hudson then addressed Dees, saying “I’ve had almost 6 months to think about what type of person (and I am using this term loosely here) could slaughter an 80 year old man, 77 year old woman and a 52 year old blind and deaf man. I’ve concluded, in my humble estimation that you are essentially a lazy, greedy, cowardly, remorseless SOB and I am so happy that your incarceration will keep the community of Boise safe for the rest of your life and God’s judgment of you will keep heaven safe for an eternity. Naugle also read a message sent to the court from Gary Hudson, who is married to Lori Hudson, to Dees. “Nothing that happens today will bring back the people we love. Nothing that happens today will take away the pain that I feel every day. Nothing that happens today will take away the sorrow I see in my wife and children. Nothing that happens today will change the stupidity and cruelty of your actions. The only good that happens today is that you will go away to nothing and not be able to harm any more innocent people for greed. Dees, who remained stoic and expressionless throughout most of the three hour hearing, struggled at times to keep his composure when he told the family of Thomas, Ted, and Elaine Welp that he wished he could “take it all back” and that he was sorry for what happened. Earlier in the hearing, prosecutors played a taped phone call from the jail where Dees is heard telling a family member he was going to have a hard time showing remorse during his upcoming sentencing hearing. Dees laughed when the family member told him to think about missing his X-box. Dees attorney, public defender Tony Geddes, told Hoagland that Dees is remorseful about what he had done but the medication Dees was taking for depression and bi-polar disorder made it harder for him to show emotion and think clearly. Dees also pleaded guilty to a count of robbery in connection with the case. Hoagland gave Dees a 25-year prison sentence for that charge in addition to the three life sentences without parole for the murders. Dees will be placed in the custody of the Idaho Department of Correction once he has finished briefing Ada County Sheriff’s Office detectives about the case.